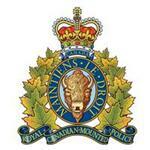 RCMP Alberta - On February 8 at approximately 3:20 pm, Fort Macleod and Claresholm RCMP responded to a two vehicle collision on Highway 519, just east of Granum. A Ford Fusion travelling southbound on Range Road 264 entered onto Highway 519 and was struck broadside by a westbound semi-tractor. The 20-year-old male driver in the Ford Fusion was pronounced deceased at the scene. An 18-year-old male passenger had to be extracted from the vehicle by firefighters and was taken to hospital with serious injuries. Both occupants of the Ford Fusion were from Lethbridge. The driver of the semi suffered minor injuries. An RCMP collision analyst attended and the cause of the collision remains under investigation. At the time of the collision, a winter storm was taking place.